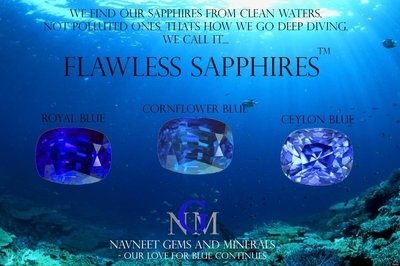 Navneet Gems and Minerals supplies Wholesale Blue Sapphire straight from our factory to many of the Jewellery Companies around the world. One of the big sources for Wholesale Blue sapphires is Bangkok, and the city of precious gems is Chantaburi, very close to Bangkok. Navneet Gems and Minerals has been trading Blue sapphire gems to our customers since 5 years now, and our experienced staff and sorters have been profesionally trained to be equipped with the know-hows of Blue Sapphire, for our wholesale customers who order all shapes and sizes in this beautiful Sapphire color, which is extremely common and extensively used in all Sapphire approved countries. 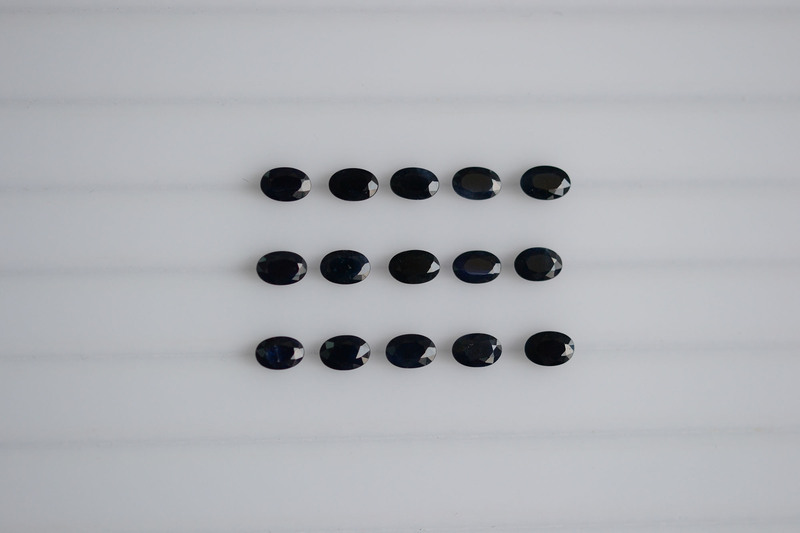 At our stores, Wholesale Blue Sapphires come in all calibrated sizes but mostly in Round shapes. This vivid blue precious gemstone is one of the most brilliant gem available which brings about its high demand in the market. 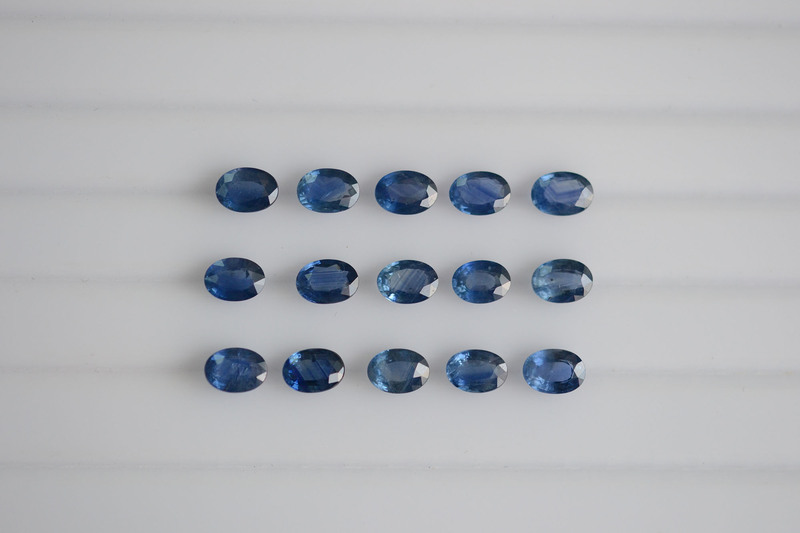 Wholesale Blue Sapphire manufacturer & supplier is Navneet Gems, we as a company love & are extremely passionate about this sapphire, because of its color. Which resembles close to Tanzanite, Blue Topaz. And Blue & Pink Sapphires are the most commonly used sapphires. Blue sapphires have been used since really long, produced and manufactured in Thailand itself, all the rough of Sapphire is imported in raw form and then they are manufactured professionally and heated, as per requirements. Price: For price inquiries, please contact us. 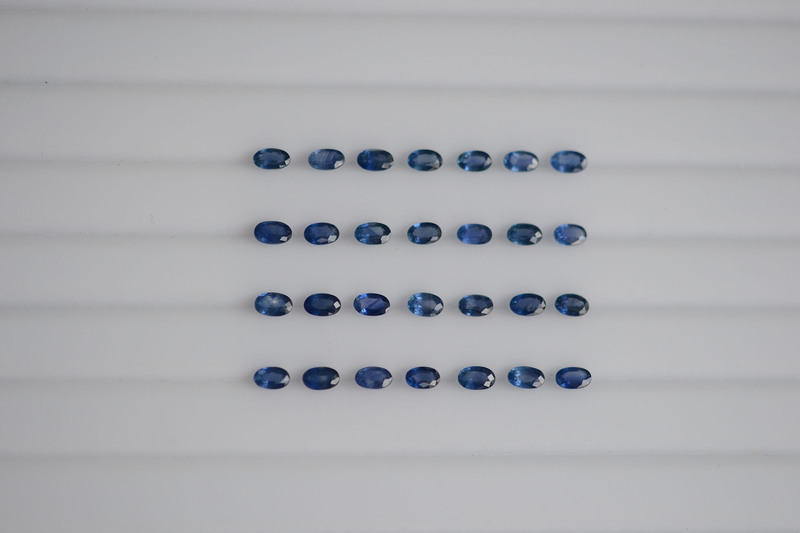 Buying or Looking for a supplier of Loose Wholesale Blue sapphires can be a great difficult task. We, complete this search for you, as we have a consistent supply and manufacturing of Blue sapphires, which are one of the most pleasant colors in all the different colors of Sapphires. Blue color, has always been the most pleasing in the Sapphires. 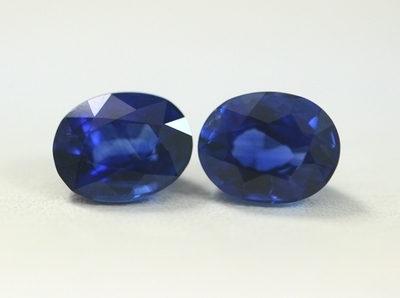 After Pink, Blue Sapphire is the second most asked color in sapphire. Chantaburi, which is a city in Thailand, 300 kilometers from Bangkok, is where our manufacturing is located, from where we cut all our Sapphire requirements for Jewellery companies, in Europe, Middle East and USA. Prices from our manufacturing are quite competitive. 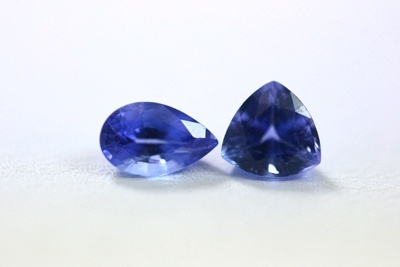 Blue Sapphires in particular require quite a lot more technical knowledge to be able to make into faceted stones. Otherwise the weight loss, and ineffeciency may make the prices expensive. But our cutters from Bangkok here are extremely well trained to focus fully on the efficiency of cutting Sapphires. Otherwise, in this sort of economic condition,where competition is extreme, and prices of sapphires are a major issue for Jewellers, but we are growing, and growing strong. This video created by our company brings the best out of Videos, it clearly explains what quality means and what the importance color and quality play when choosing your Sapphire Jewellery. 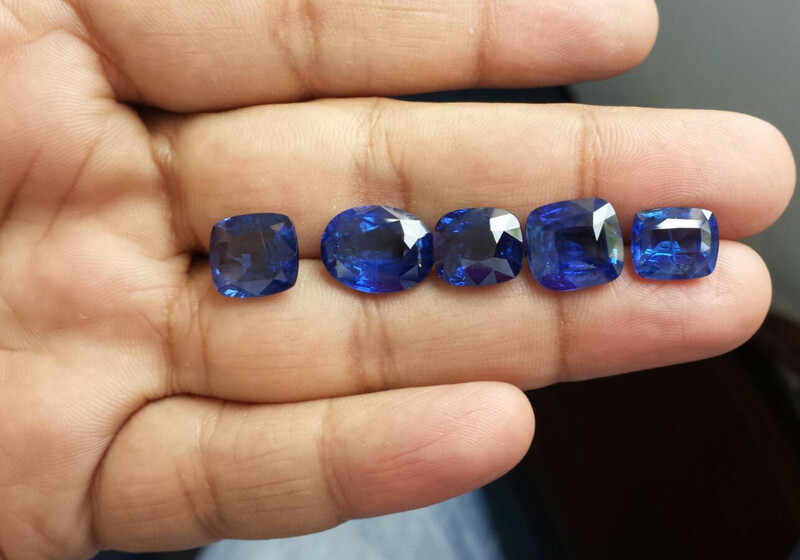 Looking forward to your requirements for Wholesale Blue sapphire, we would love to hear from you. 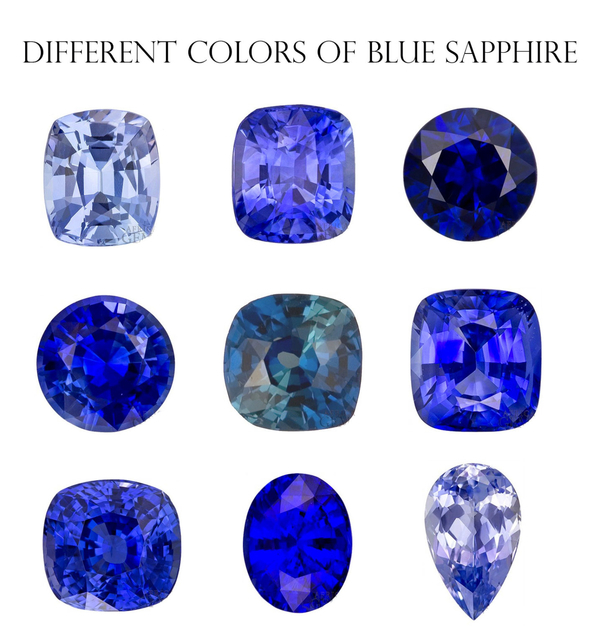 The above image is of different colors of blue sapphire, here is an image on different colors of fancy sapphires. Thank you for having a look at our Sapphire Blue page. Contact Us today.